The Civil War period of 1630 - 1660 was a time of horrendous upheaval, fear, uncertainty and oftentimes homelessness for all the people of England, not the least the Staveleys of Yorkshire, some of whom were on Cromwell's side, some on the King's. Their fortunes then depended on how quickly they could change sides when politics dictated it. Priests of the established churches were summarily dismissed and had to work in secret from then on. This is the reason for the disarray of the parish registers for the Civil War period, with most records missing. Family legend (1) says that my ancestor William Staveley was born in the Boroughbridge/Thormanby/Easingwold area of Yorkshire about 1630 - 1635 and left there as a young lad 'about the time that King Charles lost his head' (1649). That same year, Cromwell decided to go to Ireland, taking much of his army with him (2). I cannot help thinking that my ancestor William Staveley went to Ireland attached in some way to this army. Wives and families used to trail in the wake of the army in those days. Family lore states that William ended up alone in Belfast as a young lad and was apprenticed to a tailor, Mr Cox (1). It is also said that William's journey to Ireland was somehow connected to the Lascelles family but we have been unable to prove it. However at that time, the Lascelles family did own land in Thormanby. There was a Colonel Francis Lascelles who was an MP for Yorkshire and commanded Cromwell's troops in Yorkshire. Some of this man's family did settle in County Down at a much later date but I can find no proof of a connection between the Staveley and Lascelles families at that or any other time. Whatever the circumstances of his birth and removal to Ireland, William Staveley married Sarah Cox, the daughter of his boss and together they founded my large Irish Staveley family. With family legend, especially legend as old as this that has been passed down through many generations, it is extremely difficult to sort out fact from fiction. We were fortunate that this particular legend was written down early on by my 5x great grandfather Robert Staveley/Stevelly. He was the grandson of William and would have known him as he was aged 32 when his grandfather William died in 1748. Above are the facts of the story that I think I can rely on as being in essence true. The rest I am not so sure about. It is said that William Staveley's father (Robert) was a landowner in the Boroughbridge area of Yorkshire, something no-one has been able to prove. However it is indisputable that land in this area was owned by various Staveley families, both before, during and after the Civil War era. Due to the dismal state of the parish records for the period, we cannot even prove William Staveley's birth occurred, even though we know roughly the date and place. According to the legend, following his father's untimely death, William's mother remarried to a Mr Lascelles. Any record of a marriage that occurred between a Staveley widow and a member of the Lascelles family has been lost I believe because there are large gaps in all the Parish Registers for that period. It is said that it was in order to cheat young William Staveley of his inheritance, his stepfather Lascelles sent him to Ireland. Despite many years of probing, I and many others have not been able to uncover any truth in this legend. It may well have been a story dreamt up by one of the more fanciful of my Irish ancestors to entertain the family around the fireside. This was the same Joseph Staveley/Stevely, grandson of William Staveley from Yorkshire and elder brother of my 5x great grandfather Robert. This terrible accident happened just three years before the death of their grandfather William Staveley in 1748. It is notable that Joseph was a hosier, his brother Robert was a haberdasher and linen merchant while William their grandfather was apprenticed to a tailor on his arrival in Belfast. Perhaps it is not a coincidence that the area of Boroughbridge in Yorkshire was known for its wool and linen weaving and trading in the 17th century and earlier. In those days, families tended to stay fixed within one trade from generation to generation, and this perhaps helps to confirm the legend that Boroughbridge was the area that William had come from. My own branch of the Staveley family stayed in County Antrim until Robert Staveley/Stevelly (the grandson of William) decided to move his business to Cork City in 1745. It is said that he was so much against his children or descendants going to Yorkshire to try to reclaim the property his grandfather had lost, as his brother Joseph had done, that he changed the family name to Stevelly to prevent them. However, according to the newspaper account above, his brother Joseph had already changed the spelling of his name to Stevely as well. 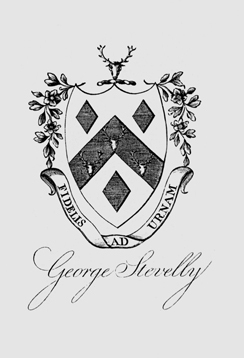 It was several generations later in 1840 that one of Robert's grandsons, Robert Jones Stevelly, a solicitor in Dublin, decided to apply to The Ulster King of Arms and Principal Herald of All Ireland (Sir William Betham) for restoration of the Staveley family name and crest. The Chief Herald drew up a large Staveley family tree and issued the familiar Yorkshire Staveley family crest but using for some reason the motto belonging to the Bridlington Staveleys: Fidelis Ad Urnam. This is the same crest as that used by the Staveleys of North Stainley, Ripon, Yorkshire but they use the motto Nil Desperandum. This North Stainley Staveley family also originated in the nearby Thormanby area (5). At the same time, the Chief Herald recommended that our Irish branch revert to the more historically correct spelling of Staveley. This they did en masse at that time. 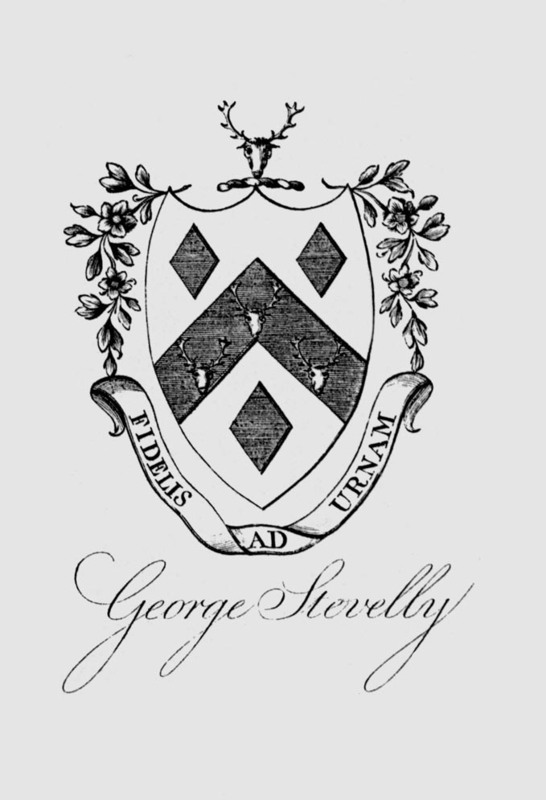 The crest used by George Stevelly, here signed by him. the crest prior to 1840. The odd thing is that there is no mention on this tree of the Francis Staveley who features so prominently in the above decree. Nor does this Francis appear in any other extensive family records or stories to my knowledge. Until I saw the name of Francis Stavelly amongst Cromwell's list of men receiving grants, I had not seen any other reference to him and had thought he must have been invented by the Chief Herald to pad out his decree. It certainly seems possible that Francis might have had something to do with young William's removal to Ireland about 1649. Robert married a wealthy widow Sarah Jones in 1745, soon after he arrived in Cork, and they lived in Cross Gun Lane, North Main Street, Cork City. Sarah was the daughter of Thomas Jones, another wealthy merchant living in St Peter's parish. Thomas was one of the early Methodists in Cork and was a good friend of John Wesley. Sarah was a young widow whose husband Edmond Roche, a Cork Shopkeeper, had died leaving her with a daughter Catherine Roche. On their marriage, Robert adopted Catherine as his own daughter and she married Henry Sanders of Charleville in 1761 at St Peter's Church. Robert set up a large haberdashery shop on Bachelor's Quay and later moved the business round the corner to 9 North Main street, adjacent to St Peter's Church. '25th April 1753: Mr Robert Stevelly is appointed of the sidesman. 1754: Mr Robert Stevelly is appointed Church Warden. 15 April 1788: Mr Robert Stevelly appointed Church Warden. ..died yesterday near the North Gate, Mr Stevelly, father of Robert Stevelly of this city. The list goes on for nearly 3 times this length. I know Robert used to go to London to buy his silks, laces and satins and to trade them for locally produced linens because a notice appeared in the Belfast Newsletter on 25 - 28th June 1782 that listed the passengers who arrived in the Le Despencer Packet from Holyhead. This list included 'Mess. Stevely and son'. It is said that Robert, when in London, often dined with his friend Richard Staveley from the Bridlington branch of unrelated Staveleys (1). It is likely that this was the source of the mistaken idea that the family motto should be Fidelis Ad Urnam. Despite the fact that the family crest was only officially granted to the Staveley family in 1840, it was used extensively by the Cork Staveley family prior to this date and can be found etched on many old silver heirlooms of this era. 'Robert had a chaise, driven by a postilion, in which he always rode to the 'Change', as was the custom among the Cork Merchants. His livery was pale blue, with white collar and cuffs, and a velvet hunting cap.' (1). Note: In the 1790s when Robert Stevelly died, there was a Valuation carried out in a neighbouring parish, St Nicholas. The most expensive houses at that time were valued at between 14 and 20 pounds. This gives some idea of the size of Robert Stevelly's estate. buried 2 May 1752 at St Peter's, Cork. buried 29 July 1752 at St Peter's, Cork. buried St Peters Church, Cork. 'Sacred to the Memory of Sarah Stevelly, wife of Robert Stevelly who departed this life the 11th Jan 1789 aged 66 years. At his death, Robert left most of his large estate to his son George Stevelly while disinheriting his elder son Robert Stevelly II (1753 - 1817). This was a mistake because, in character, George was not his father's son. George preferred a life of leisure with his favorite pastimes being riding and hunting with the fraternity of Anglo-Irish gentry in County Cork. 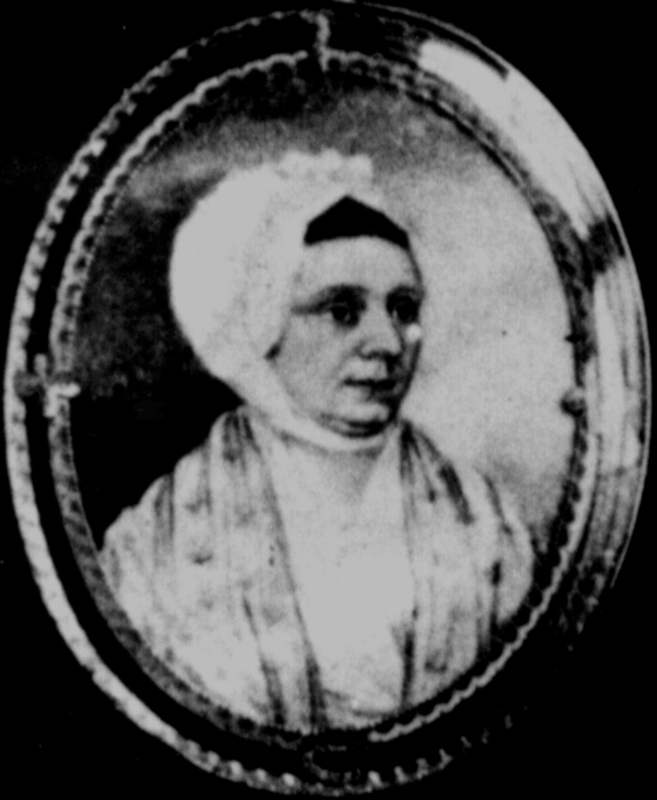 George married Ann Knapp in 1787, prior to his father's death, and they produced a large brood of children. It is said that Robert I preferred George to Robert II because Robert had yet to have a family in 1795 when Robert I was making his Will, whereas George already had 3 sons and 2 daughters. In order to finance his lifestyle and ever-expanding family, George leased off or sold most his father's extensive property holdings and invested the money in various ventures. He did not carry on the haberdashery business which disappears from the Cork Directory by 1805 (8). GEORGE STEVELLY has just received a large Supply of NORTH COUNTRY LINENS and DIAPERS, of the very best fabricks, for Export and Home Trade, which he will dospose of on the lowest Wholesale Terms. - no. 9, North-Main-Street, Cork, August 8. Take four of the Freshest Eggs that can be got, put them into a mug, get as many Lemons by Squeezing them as well, Compleatly Cover the Eggs taking care to strain the juice through fine cloth or Canvas so as to prevent the pulp getting into the Mug, let them Stand for three Days untill the acid dissolves the Shells at which time beat them up together then add two or three Ounces of Sugar candy or honey, then you will find it to be of a most Pleasing Aromatic flavour, take of this three table spoons full every Day or more as Occasion may require. It will give immediate relief to Persons subject to the Severest Cold or Consumption. In 1813, George and his two grown sons Robert George Stevelly and Reverend Edmund Stevelly formed a partnership and opened a private bank, a not uncommon occurrence in these heady days (9). Boreenmanna Road, Southern Liberties of the City of Cork. George Stevelly lived her from about 1813 until his death in 1837. It was leased out long term and still owned by the Staveley family until recently. Robert George Stevelly's wife Anne died in 1841 at the age of 53, and seven years later in 1848, their eldest son George and his wife both died of fever, leaving Robert George with six young orphaned grandchildren to raise alone. In the 1852 Griffith's Valuation, Robert George Stevelly is shown as leasing a house and yard at 31 Warren's Place, Cork City. The eldest of these orphans was Robert George Staveley who went to sea at a young age and eventually jumped ship in Lyttleton, New Zealand, probably in about 1857. He worked in North Canterbury as a farm manager, and the small town of Staveley there is named after him. Later he moved to a farm in Port Underwood, married and had four children whose descendants now live all over New Zealand (11, 12). His story was told in an article submitted to The New Zealand Genealogist (13) by Jack Free, my second cousin. It was only after the appearance of this article that Jack and I first met and were able to rekindle family ties, Jack being the grandson and I the great granddaughter of Robert Jones Staveley of Otaki (see below). Lyttleton Times: 13 April 1871, Hawkeswood, by Rev William Hogg. Mr Thomas Armstrong, Overseer, Hawkeswood, Amuri and formerly of Dalry, Kirkcudbrightshire, Scotland to Miss Annie Hodder Staveley, daughter of Mr G. Staveley, late of Bantry, County Cork and Grand niece of the late Dr John Staveley, Belfast, Professor in Natural Philosophy, Queens University, Ireland. in 1842, Professor John Stevelly recalled some incidents of his childhood, sometime between 1805 - 1810 when he was aged 10 - 15. 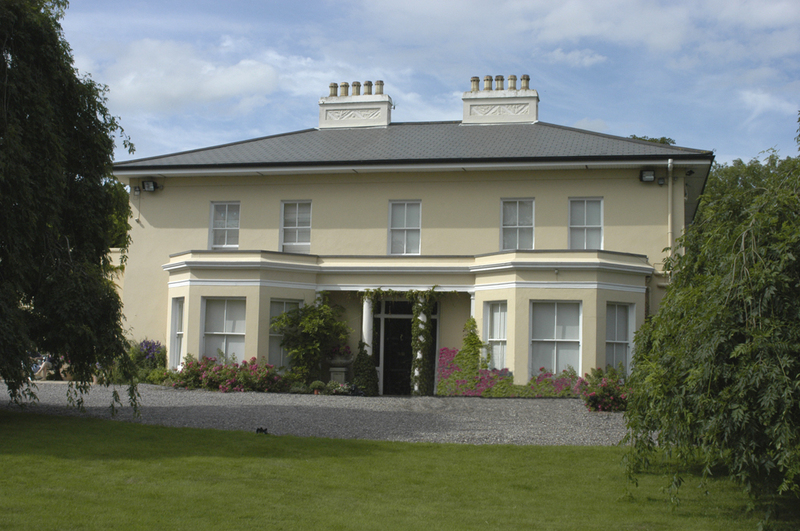 The Stevelly family moved from Fonthill House to Clontimon House, both in the southern Liberties of the City of Cork sometime during this period but most likely after the 1813 bankruptcy. It is most likely the following took place at Fonthill House. When a boy I succeeded in rearing a magpie from a very young bird; he became much attached to me, and long before he could fly would follow me about with a curious kind of sideling hop, and even at this time of life began to show great archness, running after the peasant children, who, in the south of Ireland, go for the most part without shoes and stockings, and pecking at their bare heels; and then instantly looking up to see if punishment were mediated, of which, if he saw the least symptom, he would escape with wonderful celerity. He became so adroit at length at this amusement, that the children who came near the house were much afraid of him; when his beak became stronger, he also attacked dogs in the same manner, but always with much and very droll caution. He flew well and strongly before I attempted to confine him in the slightest degree, and roamed at large round my father's place; but when I wished him to come home in the evening, one or two loud calls of his name 'Jack' were sure to bring him from some neighbouring high tree on which he had perched, to my shoulder, which was a very favourite resting-place; when there, it was a favourite practice of his gently to run his beak between my lips or into my ear, with that peculiar motion which pigeons are observed to use when they caress each other; the tickling sensation which this process caused when my ear was in question made me always submit with difficulty, and I was frequently obliged to withdraw my head suddenly with a shudder; at this he always seemed highly delighted, and used to chatter with a guttural sound not unlike Irish words. The county people in the south of Ireland have a manner of calling each other from a distance by bending their fore-finger, putting it into their mouth, and producing a very loud and shrill whistle. This whistle 'Jack' became very expert at imitating, and it was a favourite amusement of his to sit on a very hot day on the top of the house, and if he chanced to espy any person at a distance, as, for example, the market-boy riding into town, a whistle from Jack, repeated if necessary, was sure to bring him back, however great his hurry, under the impression that some important commission had been forgotten, or that his presence was required at the house or farm-yard; the length of the avenue, and a gentle slope in it about a quarter of a mile distance from the house, rendered this trick very easy to be practised, and he seemed to take great delight in it when successful, and many a hearty curse he received from the wearied subject of his practical joke as soon as he had discovered the individual who had so importunately called him back. He was particularly fond of any shining article, such as spoons and trinkets; these he frequently stole, and we came upon his treasure-house in a laughable way. There was an old gentleman, a great friend of my father, who resided with us almost continually. He was of a peculiarly studious disposition, but from a deformity in his person used generally to read standing, with his arms and breast resting on the back of a chair, and the book placed on a table before him; after having read for a while, it was his habit to take off his spectacles, lay them beside him, blow his nose, take a pinch of snuff, and after a few moments, pondering what he had been reading, resume the spectacles and proceed. One very warm day I lay reading at one end of a room in which there was an open glass door leading to the greenhouse; in this room the old gentleman was most intently pursuing his studies at a little distance from me. My attention was soon arrested by seeing the magpie perched upon the chair near him, eyeing him most intently and with a very arch expression, and at length, in an instant, he had with a most active hop touched the table, secured the red leather spectacle-case, and was out of the glass door with the most noiseless wing and with a very graceful motion. I remained quiet, resolved to see the end of the joke; after a few seconds absence 'Jack' was again at his post, eyeing the old gentleman with a most inquisitive and yet business-like glance; it was nearly impossible to resist the ludicrous impression produced by the entire scene: at length off came the spectacles, and out came the pocket handkerchief and snuff-box; quick as thought Jack had invaded the table and was out of the open door with the prize, which I have no doubt had from the beginning been the object of his covetous admiration while they were on the nose of the old gentleman. This time the magpie did not return, either because he found it more difficult to reach his storehouse with the spectacles than with the case, or because, having gained the object of his ambition, he conceived his presence no longer necessary. At length the period of rumination having elapsed, the old gentleman set about replacing the spectacles; as soon as his surprise had abated at not finding them with his hands beside him on the table, he removed the chair and groped about on the carpet, then raised the book and examined every part of the table. Not being able to restrain myself any longer, I exploded in laughter; and of course I was instantly suspected of playing off a practical joke, and charged with taking the spectacles, but at length succeeded in convincing him I had never risen from the sofa on which I reclined; but after a good deal of laughing, and two or three other members of the family having been attracted to the room by the hubbub, I was compelled, under cross-examination, to own that I had witnessed 'Jack's' abstractions. The question then became serious how the articles were to be recovered; some person suggested to leave a teaspoon near him and watch him. This was accordingly done, but his motions were so rapid that he eluded us all, seeming at first to pop completely over the house; at length, by placing two or three persons in favourable positions, he was 'marked' in a leaden valley between a double part of the roof; and this having been closely searched, a deposit was discovered not only of the things which 'Jack' had that day carried off, but also of some articles had been for some time supposed to be lost, but respecting which a breath of suspicion as to him had never been entertained. This day's successful foray led to his losing his entire store, no doubt in the midst of his triumphal rejoicing. Following the bankruptcy, George's eldest son, Robert George Stevelly was 26 years old, and took up a life at sea. We know little about this period of his life, except that he was a Sea Captain in the merchant marine. On 21 May 1814, in the balmy days before his bankruptcy, he had married Anne Hodder, daughter of George and Sarah Hodder of Fountainstown, near Carrigaline, County Cork. Robert George and Anne had a large family of six children, one of whom was Robert Staveley (1819 - 1892) who like his father became a captain in the merchant marine. 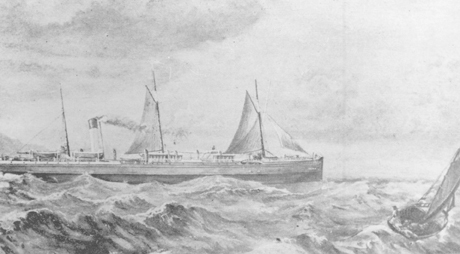 Eventually Robert George Stevelly left his life at sea and settled in Cork City as a merchant. He had a house in Great Georges Street. The Reverend Edmund Stevelly (1790 - 1841) was Joseph's elder brother who had been one of the partners in the banking venture. He attended Trinity College, Dublin, graduating B.A. in 1811 (14) and in 1824, was the curate at St Nicholas Church in Cork City (16). In 1826, he was appointed Vicar at Drinagh, Co Cork and died there in 1841 (17). He had two sons, George and Newbold, both of whom immigrated to Australia. This George's eldest son Edmond George Staveley (1855 - 1916) was born in Australia, came to New Zealand in about 1878 and eventually settled in Christchurch where he was for many years a stock salesman for the New Zealand Loan and Mercantile Agency (11). Staveley Street in Christchurch is named after Edmond whose descendants still live in Christchurch. Edmond's elder son was Newbold Crofton Staveley (1881 - 1950) who for many years was the City Engineer at Wanganui. He was responsible for some prominent construction projects there, such as the Bastia Hill Water Tower, the Durie Hill elevator, the Art Gallery and the Dublin Street Bridge (18). Back in Cork, on 3 May 1837, in the same year that George Stevelly had died at Clontimon, Joseph and Catherine Stevelly had a daughter, Catherine Ann Stevelly. She must have grown up knowing her elder cousin, Captain Robert Staveley, son of her uncle Robert George Stevelly as they all lived within the confines of Cork City. Robert was Captain of the Bristol steam packet 'SS Sabrina' when he married his much younger cousin Catherine at St Ann's Church Shandon, Cork City on 26th August 1856. It must have been a great day for the two brothers, Robert George Stevelly, gentleman, father of the groom and Joseph Stevelly, merchant, father of the bride. and his wife Catherine Ann (nee Staveley) (1837 - 1902). of the two brothers, Robert George and Joseph Stevelly. 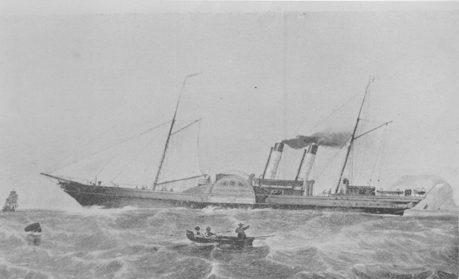 Throughout his long career, Robert captained the Bristol Packet that steamed twice a week between Cork and Bristol taking passengers and freight. When they were first married, he and his wife Catherine lived in Bristol, England where their eldest son, Robert Jones Staveley was born on 21 May 1857. The middle name of Jones was in remembrance of the baby's great great grandmother Sarah Stevelly nee Jones and her father Thomas Jones (occupation: linen draper; died 1762). Thomas was a founding member of the Methodist Church in Cork City and a great friend of John Wesley (1, 19). The name of Jones was to appear in the family over and again through all the generations and is perhaps a measure of the sense of family and history that the Staveley family always held. 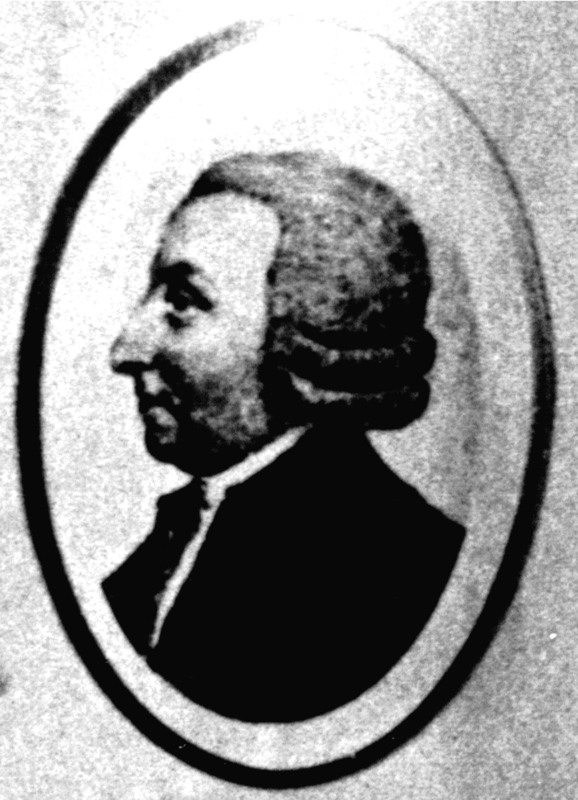 Later Captain Robert Staveley moved his family back to Cork. In 1867, they were living at 4 Tivoli Tce (20), near the offices of Robert's employers, The City of Cork Steam Packet Company (21) and just across the river from Bachelor's Quay where Robert's great grandfather had opened his haberdashery business in 1745. Then, probably in about the year 1869, Captain Robert and Catherine moved to a house called Riversdale in Castle Road, further down the harbour at Blackrock (22, 23). This was just a few blocks from Clontimon Lodge where Robert's grandfather George Stevelly had died in 1837. Robert in fact now owned and received rents for Clontimon and an adjoining property called Rochelle which his father had leased out on very long-term leases of 400 years and more. My great grandfather, Robert Jones Staveley (1857 - 1931) grew up as he always said 'in the shadow of Blackrock Castle' at the family home of Riversdale. 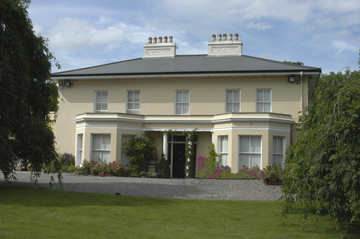 The house was immediately across the Blackrock Road from the castle, overlooking the Cork Harbour. He studied as an Articled Clerk at Dr William Mortimer's Legal School at 26 York Street, Dublin (28) and passed the legal examinations on December 10th, 1881 (29). He immigrated to New Zealand in 1884 at the age of 27, joining the immigrant ship 'SS Chimborazo' at Gravesend, London. 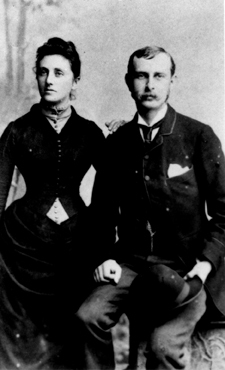 During the long voyage to New Zealand, he met and became engaged to his future wife, Helen Schabner Hammond, an Englishwoman. They were married at Port Underwood on 16 September 1884 from the home of Robert's cousin, Robert George Staveley the younger. I suspect it was at his cousin's urgings that Robert Jones Staveley had decided to come to New Zealand. At first he tried a farming venture at Port Underwood with his cousin but then discovered within a short time that he was not cut out to be a farmer. He and Helen moved to Wellington the following year and lived in a house high on a scrub-covered hill in Micheltown at a place called Pollhill Gully. Robert resumed his career as an Articled Clerk, and then as a fully fledged solicitor first in Wellington and then in Otaki. He specialized in representing Maori clients at the Maori Land Courts (24). He died in Otaki in 1931 and was buried in the churchyard of the Rangiatea Maori Church at Otaki, quite near to the grave of Te Rauparaha (25). Robert's interest in yachting in Wellington Harbour reflects his origins in Cork harbour and his links with the sea through his father and grandfather. Robert was also greatly interested in the Staveley family legend and ensured that his descendants received written versions of the story of his ancestors William Staveley of Yorkshire and the Staveleys of Cork (1). Robert Jones Staveley of Otaki had two sons, both of whom died without issue. His eldest son, Robert George Staveley enlisted in the NZ Expeditionary Force on 26th April 1917 and was killed as a prisoner of war in France in April 1918. He has no known grave but is commemorated on War Memorials in Otaki, Levin, Waiouru and the Messines Missing Memorial in France. The younger son, Bert died unmarried in 1973 and is buried with his father at Rangiatea (25). 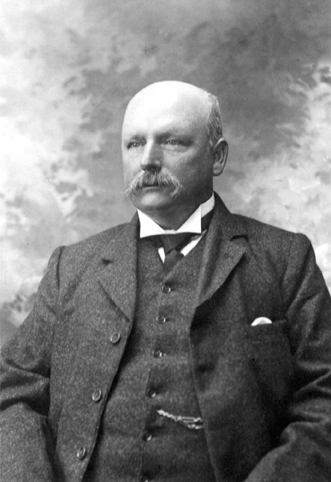 Robert Jones Staveley also had four daughters whose descendants live today throughout New Zealand. But that was the end of the long line of Robert, George and Robert George Staveleys whose lives spanned a period of nearly 400 years from their shadowy beginnings in Yorkshire in the early 1600s to a foothold in County Antrim for 100 years and in County Cork from 1745 to the 1890s, until Robert Jones Staveley's death in New Zealand in 1931. The younger generation of Staveleys in Cork in the 1850s to the 1880s faced the politics of sectarianism and segregation which foreshadowed the Irish Civil War and development of the Irish Free State in the 1920s. In their lifetime they had seen their native Ireland torn asunder with hatred for the English occupation, coupled with famine, disease, poverty and death and decided that there was more future for ambitious young men and woman in the New World down-under. This article was first published in The New Zealand Genealogist's FAMILY HISTORIAN Volume 2, 2005.
f) Robert Jones Staveley (1857 - 1931) my great grandfather. g) Eileen Manley nee Staveley (1904 - 1997) my grandmother. 1. History of Our Branch of the Staveley Family by Robert Staveley V. Privately published circa 1920. 2. The Wordsworth Dictionary of British History by J.P Kenyon. Wordsworth Editions 1994. 3. Pue's Occurrences 1744 - 1749, Irish Genealogist Vol 9 No 3 1996. 4. The Irish and Anglo-Irish Gentry When Cromwell Came to Ireland by John O'Hart published by James Duffy and Co Ltd, Dublin. 6. Betham Grants, Genealogical Office, Dublin, Manuscript 107, p 188. LDS Film #0100202. 7. Using the Irish Registry of Deeds at Your LDS library by Kae Lewis. The NZ Genealogist, Sept/Oct 2001. 8. Holden's Directory of Cork 1805 - 1807 LDS Film # 0100179. 9. The Old Private Banks of and Bankers of Munster by Eoin O'Kelly Cork University Press 1959. 10. Newspaper Index compiled by Rosemary Ffolliott. LDS Film #0537921. 11. G.R. MacDonald Dictionary of Canterbury Biography, Canterbury Museum, Christchurch. 12. The Marlborough Express 3/10/1957 'An Old Hand Tells His story' by Charles George Staveley. 13. An Early History of Port Underwood by Jack Staveley Free. NZ Genealogist Sept/ Oct 1994 p305. 14. Register of the Alumni of Trinity College, Dublin 5th edition 1950. 15. History of the Institute by J. Jamieson, Queens University Library, Belfast. 16. Pigot's 1824 Directory of Cork. 17. Clerical and Parochial Records of Cork, Cloyne and Ross by W. Maziere Brady. Dublin 1863. 18. Wanganui Chronicle 28 Jan 1950 p4. 19. Methodism in Ireland by C.F. Crookshank (1885) vol 1, pp 51, 62, 65, 93, 208. 20. Henry & Coghlan's General Directory of Cork for 1867. 21. History of the Port of Cork Steam Navigation by William Barry in The Journal of the Cork Historical and Archeological Society, a series of articles in various issues, beginning Vol XXIII no 115, July 1917. 22. Griffith's Valuation and Cancel Books for St Finbar Parish, Blackrock in Cork. LDS Film #0827177 and others in this series. 23. Parish Register of St Michael's Church, Blackrock. 24. Maori Land Court (Otaki) Minute Books (1894 - 1909), Levin Public Library. 25. Otaki Historical Society Historical Journal Vol 2, 1979, p 25. 26. William Deane Notebook held by the Irish Architectural Archive, Dublin. 27. The Annals and Magazine of Natural History (Vol VIII) 1842. 28. Thom's Directory of Dublin 1874. 29. Roll Book, Law Society of Ireland, Dublin.